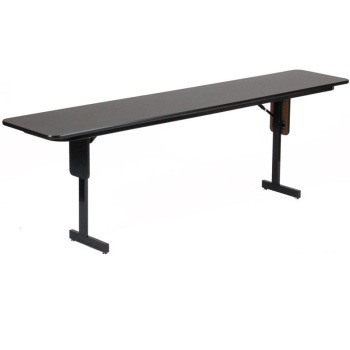 Correll rectangular 4 foot tables feature the smallest table top Correll produces. 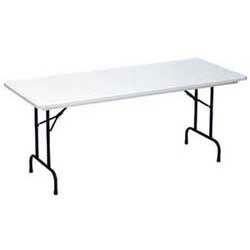 These tables can be school tables or folding tables for home. Correll rectangular tables are perfect for home, office, or school use. These tables come in folding options and bulk packs to save money. Enjoy seating where you can actually face each other in stimulating conversation with Correll round tables. Great for banquets, fire halls, rental companies. 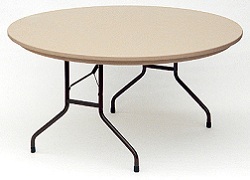 Seminar tables for classrooms, schools, churches, and training centers. Seat people on one side with the narrow 18" wide table top. Include seminar tables, melamine, table and chair carts, blowmolded plastic tables, prison tables, and countertop height tables.